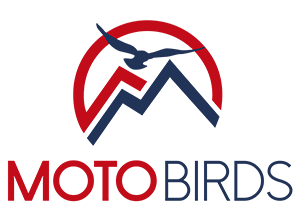 I shipped my bike with Motobirds and saw first-hand how they pack the bikes. First, all the bikes are photographed to document the condition they arrived in the warehouse. If there are any questions, they call the owner immediately to clarify things. Then, they are put into metal cages. This is done by Motobirds staff who know the bikes, not warehouse people which might not be familiar with motorbikes. What I especially liked is that they never dismantle the front wheel: therefore there are no chances of damaging any of the sensors or disks in the front during packing. The bikes are strapped around the wheels and there are no chances the bikes will be damaged or scuffed in transport. The extra luggage pieces which might not fit inside the cage was all wrapped individually and stored separately before being wrapped again. So overall, a very good experience. Clearly, they care about details, know how to ship bikes & make sure the bikes are treated with a lot of care. They are truly passionate about what they do.